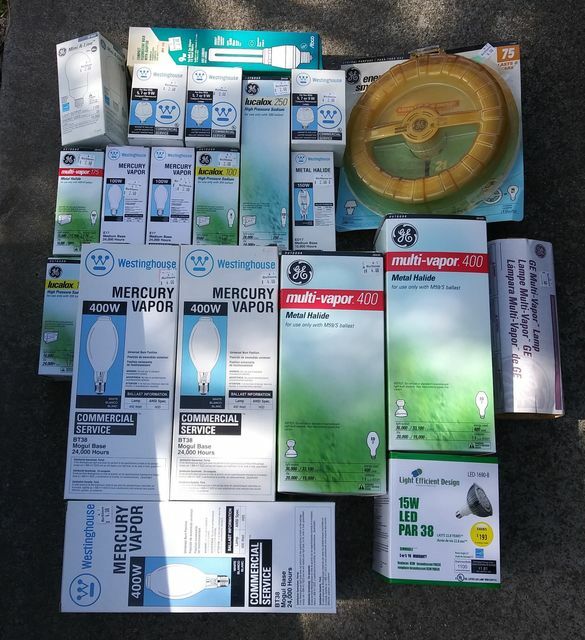 Mostly HID & Fluorescent stuff. are those 400w mercury lamps actually BT37 shaped? @Lumex120: They are BT-37 shape. Cool score. I got lots of lamps at that ReStore in 2016.